TIOBE (The Importance of Being Earnest), one of the most popular rating index for programming languages, has released its latest index for April 2018. 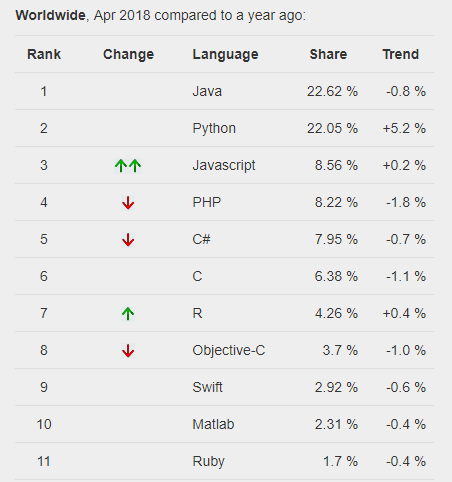 According to their rankings, Java continues to remain the most popular programming language followed by C and C++. Other popular languages included in the TIOBE rankings are Python, C#, and Visual Basic. Further, both Objective-C and Perl have fallen considerably in the year-on-year TIOBE rankings. While Objective-C has been replaced by Swift, the language Perl lacks a clear future. 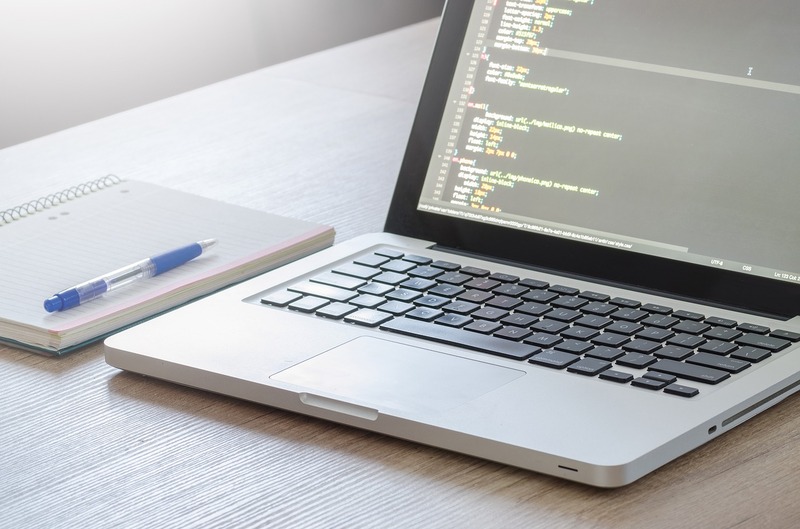 Based on research data as of April 2018, here is the list of the top 10 programming languages in 2018, according to the TIOBE Index and PYPL rankings. SQL is a special-purpose language designed for managing data held in a relational database management system (RDBMS), or for stream processing in a relational data stream management system (RDSMS). It is also very common, with many variations like MySQL and Microsoft SQL. Last year, Microsoft released SQL Server 2016, which introduced several new features to make the language more open-source like integration with R, the popular data analysis programming language, and a Linux version, making it an extremely well-known language. Swift, the successor of Objective-C is a relatively clean, fast and error-free programming language that can reduce the length of the code, saving time and energy. Built by Apple, Swift is suitable for building applications for iOS, macOS, watchOS, and tvOS. Since it is open source, besides iOS developers can also use it on Windows or Linux systems, design their compilers and be assured that their apps are compatible with Apple devices.